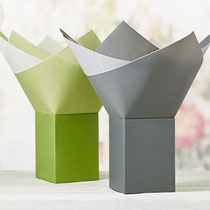 ere you will find information on the packaging products we offer to retailers, manufacturers and packaging distributors. The personalised packaging section demonstrates the products we manufacture to order and how it can benefit your business. 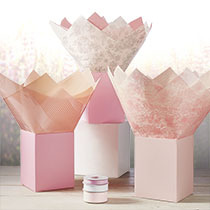 You can browse our range of products in the online shop and buy online, simply and securely. We are committed to providing high quality products with an efficient and friendly service. Our flexible manufacturing processes mean that we can provide products that are among the lowest minimum order quantities in the UK packaging industry and have the capacity for large orders. Whatever the size of your business we can provide you with the best in low cost advertising with our range of quality personalised packaging. We have over 120 years of experience in supplying packaging materials and still remain a family run business, which means you get the benefits of a truly personal service. 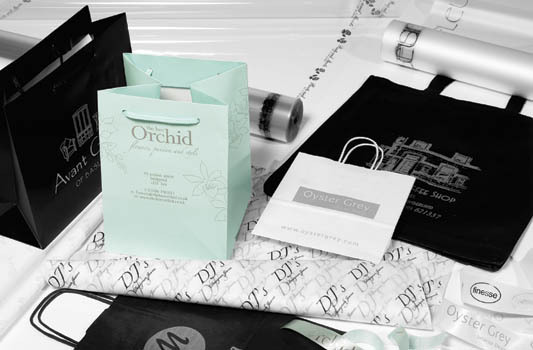 We are proud to offer our customers complete branded packaging solutions. 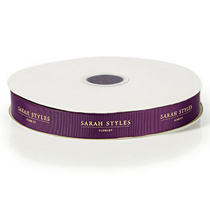 Grosgrain Ribbon - Now available branded! Beautiful Grosgrain Ribbon - 13mm, 25mm and 38mm wide ribbon now available branded. The ribbon is even more special as the print has a raised, tactile print finish. Can be made to order in any size to any print specification. Luxury packaging, amazing prices. You can now upload artwork files up to 2GB directly to us by using this link. Please use for all files larger than 5Mb.